I. Thuidium delicatulum. 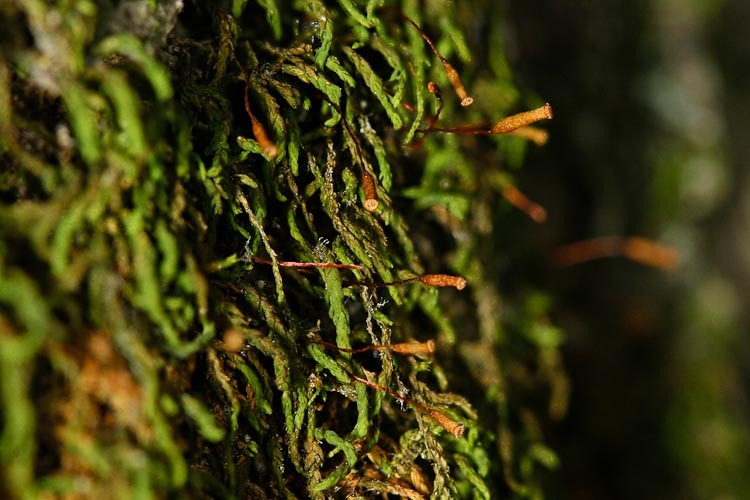 Thuidium is the “fern moss.” It is common, especially on logs, in most woods. Thuidium is twice-pinnately branched looking very fern-like. 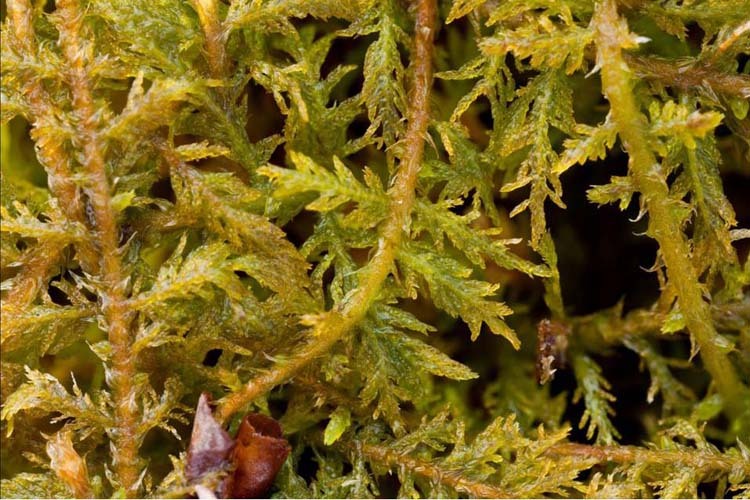 Thuidium is quite fern-like (twice pinnate). Microscopically, Thuidium is striking. 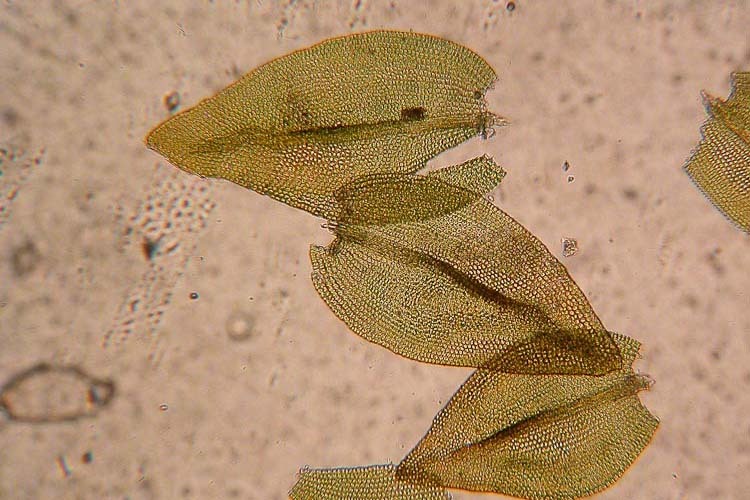 It’s stems are clothed in filamentous, papillose paraphyllia. 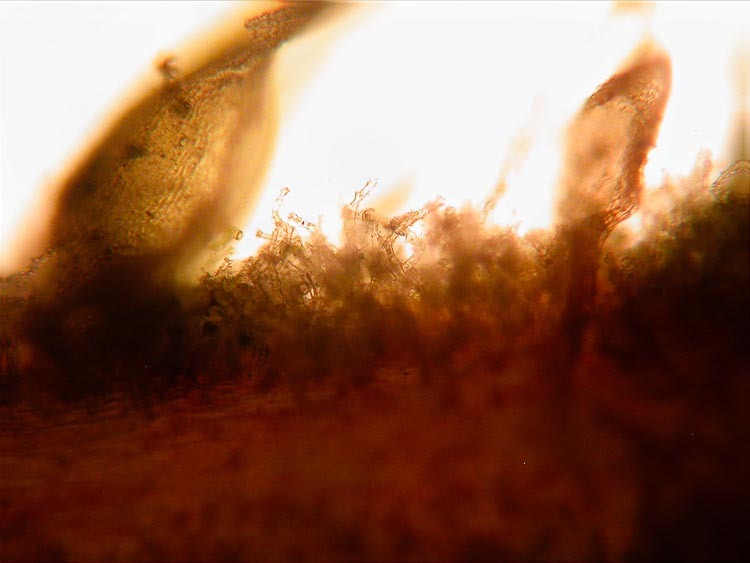 Paraphyllia are filamentous stem outgrowths between the leaves. Thuidium leaves are stoutly unipapillose. II. Anomodon. 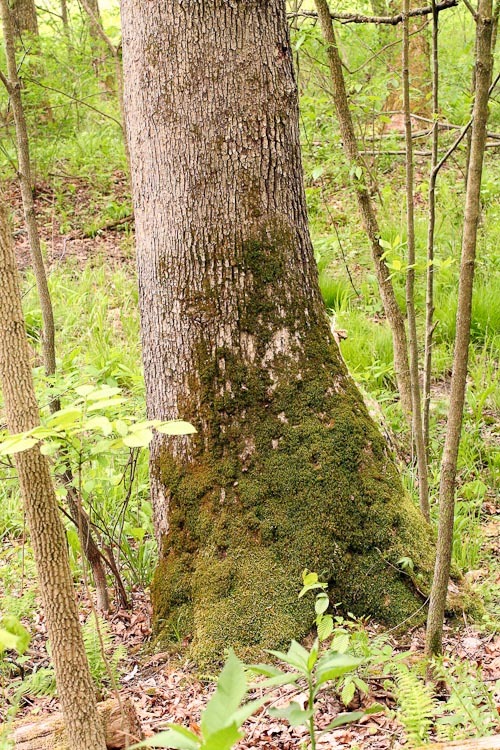 The genus Anomodon consists of robust mat-forming pleurocarps often found at the base of trees or on cliffs.Here’s Anomodon attenuatus at the base of a tree. 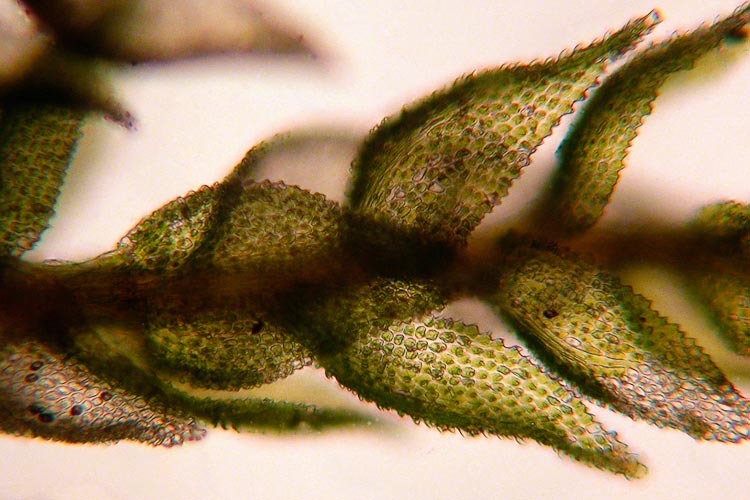 Microscopically, most Anomodon leaves are tongue-shaped. The cells are pluripapillose. III. Leskea. Like Anomodon, Leskea is a papillose pleurocarp often found on trees. Leskea is found quite high up the trunk, at about eye-level. 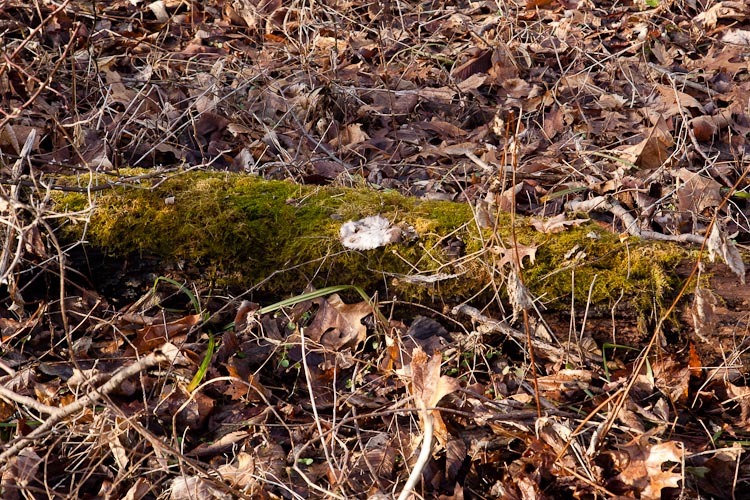 It’s a rather small moss. 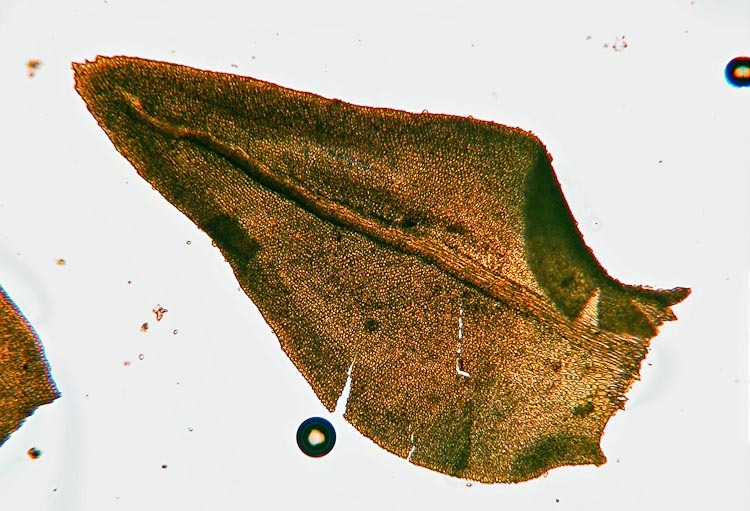 Microscopically, Leskea leaves are tapered and blunt-tipped. The cellls are unipapillose.